The venue is a member's home. After you RSVP, we'll send you the address. Questions? Email us. Support Community Choice Energy in Del Mar! Do you want to support the spread of Community Choice Energy in Del Mar? Come out and advocate for Community Chioce Energy by attending a City Council meeting on March 4th at 4:30pm at Del Mar City Hall- 1050 Camino Del Mar. The City Council will be discussing the results of the recently completed feasibility study and we will be there to show that we support Communtiy Choice for local control of energy decisions, to achieve 100% renewable energy and reinvest rate payer dollars to benefit the local community. To RSVP for the event click here! Please wear your SanDiego350 t-shirt. We'll have talking points available for those that are interested in speaking. Email Ryan O'Connor at Ryan@sandiego350.org with any questions. Come out and advocate for a strong Climate Action Plan and 100% renewable energy through Community Choice Energy in Oceanside. The City of Oceanside is hosting a community workshop on their Climate Action Plan on Monday, March 4th at 5:30pm at the Oceanside City Hall (300 North Coast Hwy) . This workshop will provide an opportunity for us to provide input on important issues such as transportation, Community Choice Energy and land use development. As Oceanside shapes its Climate Action Plan this is the time to make sure they create a document that ensures a sustainable future. Please wear your SanDiego350 t-shirt. We'll have talking points available for those that are interested in speaking. Email Ryan O'Connor at Ryan at sandiego350.org with any questions. 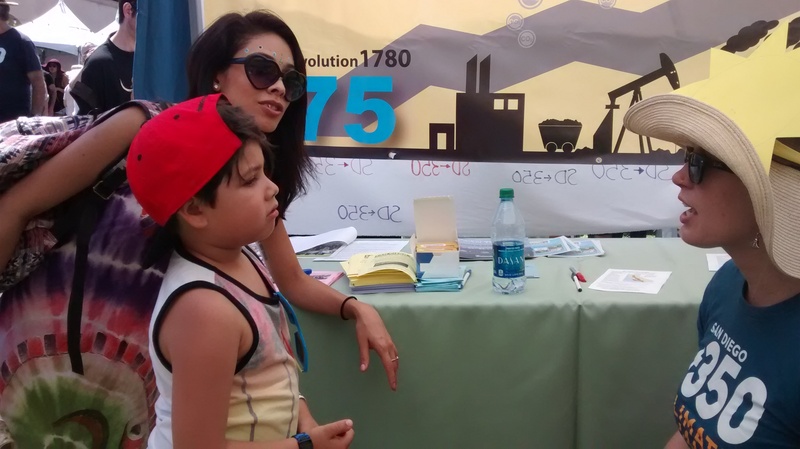 Engaging Kids to Take Climate Action! Hope you can join us in engaging kids to take climate action! At our first meeting we will discuss what we learned on January's call about "Engaging Youth and Family in ClimateAction," discuss opportunities for involving youth, and determine next steps. 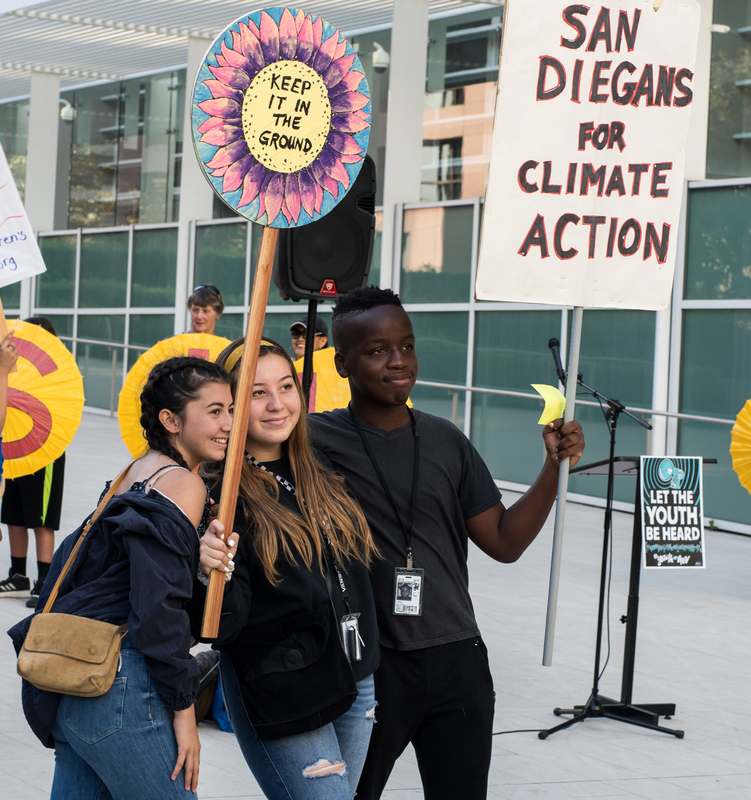 Join SanDiego350 as we turn out to support the leadership of young climate activists at Hilltop High School in Chula Vista who are striking for the Green New Deal and other necessary actions to solve the climate crisis, as part of a global day of action for youth. The students will leave school about 9:00 am to walk to Chula Vista City Hall where they will hold a program from about 10:00 am to 2 pm. If you can only come for part we recommend either the walk from school at 9:00, or the main part of the program which will take place from 12-1 pm. Note: students are leading this event. Parents and supporters and students from other schools are welcome to participate. We'll have signs and banners, and feel free to bring your own too. Rep. Susan Davis: Cosponsor the Green New Deal! 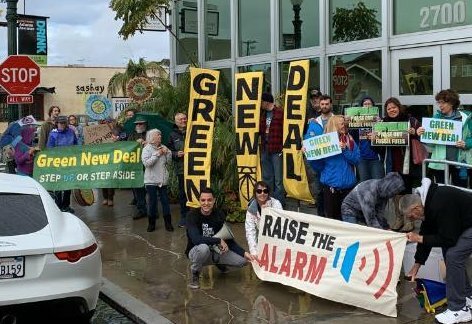 Join SanDiego350 to call on Rep. Susan Davis (CA-53) to cosponsor the Green New Deal resolution in Congress, and commit to a just and equitable transition to a world free from fossil fuels, support green jobs, and reject fossil fuel money. Over 40 of us turned up at Susan Davis' office in February to deliver petition signatures asking her to lead on climate change and support the Green New Deal. That was before the resolution was introduced. Since then we've asked her to join Reps. Levin and Vargas in cosponsoring the bill, but she has not done so. Now it's time to turn up the pressure and make sure it's clear that her not leading on climate change is not acceptable, and that we need her to step up. We will have signs. Please wear your SanDiego350 t-shirt. We'll meet at the eastern side of Trolley Barn park (Adams Ave between Alabama and Florida), review the event details, and then walk to the office. 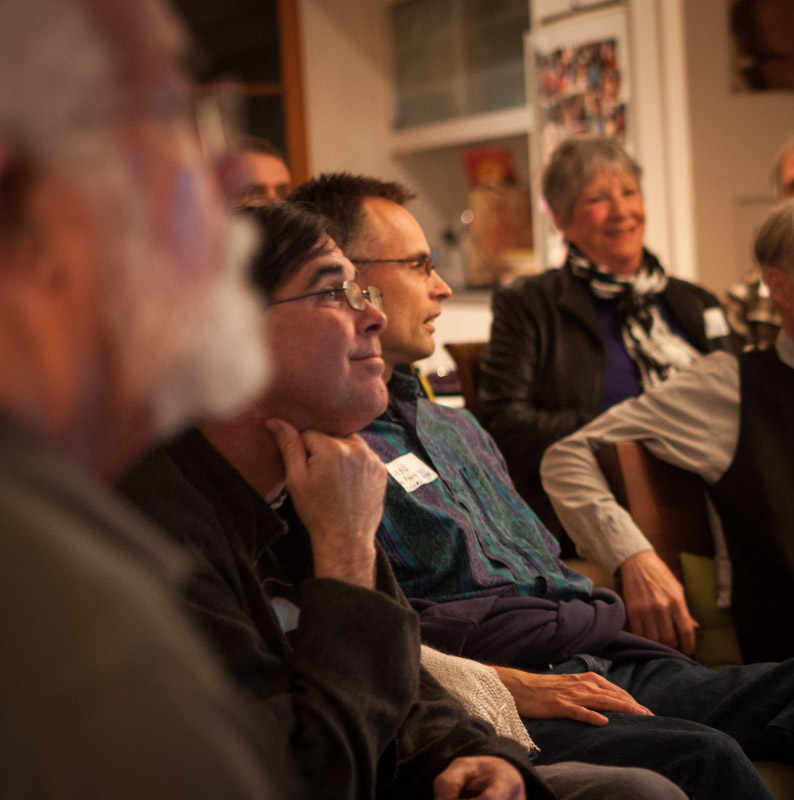 At our monthly meetings we hear reports from the Steering Committee, Team & Committee leaders and Treasurer and typically have breakout sessions or a guest speaker. It's a good way to learn about the workings of the organization and meet like-minded volunteers. New and long-time members are equally welcome! This month we'll have a special training on writing letters to the editor and here about the Green New Deal action at Rep. Susan Davis' office earlier in the day! Signup to drive or ride in carpool using this carpool app. This month we'll have special guest speaker, Cory Downs, Conservation Specialist, who will be presenting on the Chula Vista Climate Action Plan and speaking about the Chula Vista Challenge website launching in April. Where: 276 Fourth Ave Chula Vista at CITY HALL Room 103. Parking is available on F St.
We look foreward to seeing you there! Volunteer to table at South Bay Earth Day 2019! Volunteers are needed to help educate visitors about our organization and engage them to take climate action! What: South Bay Earth Day 2019! *See list of volunteers signed up for this event here. The County of San Diego is considering the idea of moving forward with Community Choice Energy. This is an exciting development for the County who has postponed moving forward with Community Choice. We will be at the meeting to let the County know that 100% renewable energy, choice and local control are important. The County will be discussing Community Choice on April 9th at 1:30pm. This meeting is an important discussion on the process of making community choice a reality in the County of San Diego and moving our region to 100% clean energy. Thank you for your support! Email Ryan O'Connor at Ryan@sandiego350.org with any questions.